Our toddler’s nutrition needs some work – new research published by researchers from Deakin University has found that our toddler’s nutrition declines rapidly after 9 months of age, with 95% of toddlers not eating enough vegetables and only a handful of toddlers consuming minimal amounts of junk and treat style foods. The research published in the Journal of Academy of Nutrition & Dietetics examined the diets of 467 Australian families over a 7 year period. The standout finding was that most babies at 9 months were eating the 30-40 grams of vegetables they needed each day but by the time the group reached 18 months, when they needed 150-220g of vegetables each day, only 5% of toddlers were reaching this target. On the other hand, 90% of 18 month olds were eating junk foods regularly when it is actually suggested that these foods not be included in the diet at all at these young ages. These findings are some of the first that have specifically looked at Australian toddler’s food habits and tell us that we have a long way to go with improving our toddler’s nutrition. So where do things go wrong, when we have parents who have the best of intentions when it comes to their toddler’s nutrition? Feeding babies is relatively easy – they eat what we offer them and they do not need a lot of individual foods to get their nutrition – a couple of tablespoons of vegetables and meat and they are good to go. Toddlers though are a whole other story. Not only do they start to develop very strong behaviours in regards to what they will and will not eat, but as soon as we fill them up on foods they do not really need like extra milk, banana bread and too much fruit, they are often not hungry for the vegetables and lean protein they actually need. So how can we change this? First and foremost keep a close eye on how many extra foods they are eating – biscuits, cakes, muffins, even extra serves of milk fill little tummies. Try and keep treats as treats – toddler sized and at most once or twice each week. Next always offer them a range of vegetables throughout the day to help them get the bulk they need – for example snacks of cucumber and baby tomatoes and offer them cooked vegetables at both lunch and dinner. 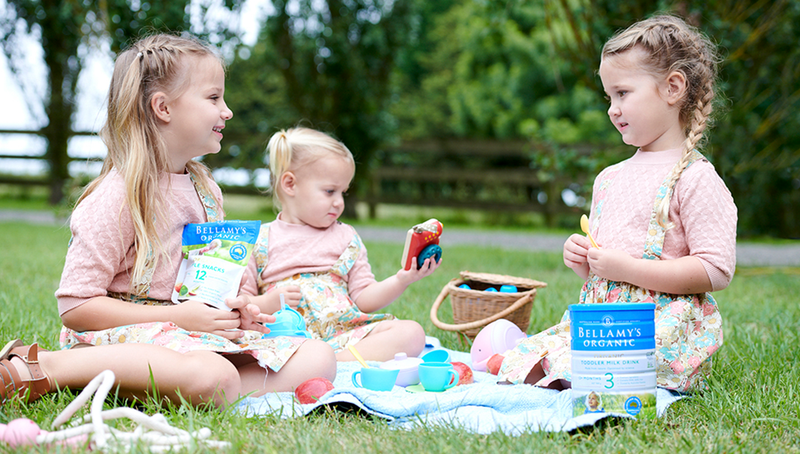 Vegetable juices are a good alternative to fruit drinks, while convenient vegetable pouches such as the Bellamy’s Organic Pumpkin & Tomato Risotto mean that toddlers still get their veggies even if you are out on the run. Finally remember that small children ultimately only eat what we offer them, the more you offer and incorporate vegetables into their daily meals, the more they will eat.